Arjuna has a prominent place in Indian mythology; it is considered sacred and is mentioned in ancient folklore. In Ayurveda it is thought necessary to maintain basic health and has a reputation as a heart medicine; it is also an important ingredient in many classical herbal formulae. Arjuna is common in the plains of India, along riversides, streams, ravines and dry watercourses. It is also cultivated for decoration and shade in avenues and gardens. A large evergreen tree with spreading crown, buttressed trunk and drooping branches (Plate 61). The bark is smooth, pinkish grey, exfoliating in large, thin irregular sheets. The leaves are subopposite, elliptical. coriaceous, up to 15 cm long, with a pair of oil glands visible on the lower surface near the petiole. The flowers are cup-shaped, in panicled spikes. The fruits are 2-5 cm long, glabrous and ovoid-oblong in shape, bearing 5-7 wings. Terminalia arjuna is traditionally used for heart problems. The bark is considered to be a cardiotonic and used in the treatment of cardiovascular diseases such as angina, myocardial infarction, hypertension, congestive heart failure, coronary artery diseases and hypercholesterolaemia.lt is also used to treat hepatic, urogenital and venereal diseases. It has been reported as useful for fractured bones, bacterial and viral infections, colic, piles, dysentery and dyspepsia and as an antidote in cases of poisoning. 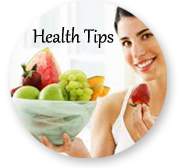 The powdered bark mixed with honey is recommended for bilious disorders, diarrhoea, dysentery and haemorrhage. 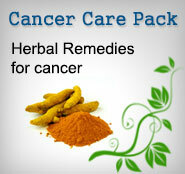 A decoction is used topically as an astringent for treating ulcers, sores and wounds. An extract of the bark is used to staunch bleeding in animals, especially goats and sheep. Arjunosides I-IV, arjunine, arjunetin, arjunctine, friedelin and arjungenin, oleanolic acid, arjunic acid, arjunolic acid and various other saponin glycosides have been isolated. Arjunolone, arjunone, catechol, gallocatechol, epicatechol and epigallocatechol are present. Cardiovascular activity: An experimental study, using an ischaemic reperfusion injury model, showed that Terminalia arjuna bark powder produced an increase in superoxide dismutase, catalase and glutathione levels and demonstrated the protective effect of the drug against oxidative stress. Other experiments have confirmed the direct positive inotropic effects on heart muscle6 and the hypotensive activity. T. ary'una was found to be effective in relieving stable anginal pain and shown to lower systolic blood pressure and frequency of angina attacks without any evidence of renal or hepatic impairment. When given to patients with refractory chronic congestive heart failure over a period of 12 weeks, the bark extract was effective in the management of the disease as judged by an improvement in various parameters." In ventricular arrhythmia a dose of 500 mg three times a day was reported to be effective. Hypolipidaemic activity: Studies have been conducted in animals using the administration of a cholesterol-rich diet to induce experimental arteriosclerosis. Parameters such as total cholesterol, LD lipoprotein, HD lipoprotein and triglyceride were measured before and after treatment and, together with histopathological tests, these showed a significant decrease in LDL and total cholesterol levels after administration of T. arjuna. The action appears to be mediated through the inhibition of hepatic cholesterol biosynthesis, increased faecal bile acid secretion and enhanced catabolism. A recent trial has confirmed these effects in humans. Hepatoprotective activity: Ayurvedic preparations Nagarjunabhram and Somesvararasam, containing arjuna bark as the main ingredient, are used in hepatic complaints. Recent studies have indicated that the bark might act through the inhibition of hepatitis B virus surface antigen secretion. Antineoplastic activity: Gallic acid, ethyl gallate and the flavone luteolin were found to be useful in retarding the growth of cancer cells. Antimutagenic activity: Ellagic acid and other extracts isolated from Terminalia arjuna were antimutagenic to various strains of Salmonella typhimurium against directly or indirectly acting mutagens. Antibacterial and antiviral activity: The bark has been reported as having significant antibacterial activity against Escherichia, Klebsiella, Proteus and Pseudomonas species as well as against human immunodeficiency virus. The bark inhibited HIV type I protease enzyme activity by more than 70% at a concentration of 0.2 mg/ml. T. arjuna is well tolerated when used within the recommended doses. Where to Buy Arjuna Powder? No side effects! Free Shipping and Handling Worldwide! 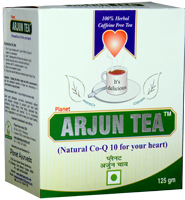 Arjun tea is purely a herbal formulation for heart problems. It contains ancient Ayurvedic herbs useful in coronary artery disease, congestive heart failure, prevention of heart attacks and many other heart ailments. Arjun tea contains best herbs described in ancient Ayurvedic texts as the most effective treatment for blood pressure and heart problems.